PALAGAN new high strength shrink pallet covers improve product protection, speed up the shrink process whilst also reducing the overall packaging weight used. 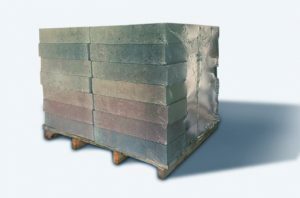 Palagan announces the launch of higher strength, thinner shrink pallet covers for British industrial manufactures and processors. As part of their innovation plan, Palagan have been working with a new generation of polymers to develop a film that speeds up the shrinking process whilst increasing product strength. As well as packaging faster, processors will improve their energy efficiency by reducing heat gun gas consumption. Palagan has also invested £1.2m in conversion equipment to enable the shrink pallet film to be sealed more efficiently. This new equipment will continue to meet the growing demand from British manufacturers and processors to use more environmentally efficient materials and help reduce overall packaging use. All Palagan pallet covers are fully recyclable. Palagan are the UK’s leading manufacturer of customised high-performance polythene packaging. Their solutions save time and money by making packing and filling faster, speeding up the processing in British factories. 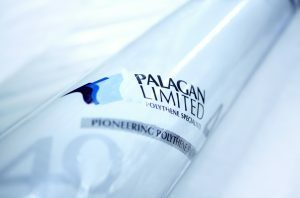 Find out more about Palagan’s investment in the future at www.palagan.co.uk or call 01582 600234.